CH-53E from the VMM-161 Greyhawks of MCAS Miramar drops into its dust shroud with Marines from the 15th Marine Expeditionary Unit (MEU). The 15th MEUS live fire, Realistic Urban Training (RUT) is underway at MCAGCC Twentynine Palms, CA. Recently Todd Miller of The Aviationist joined the 15th Marine Expeditionary Unit (MEU) for “Realistic Urban Training” (RUT), a live fire assault on an “urban complex” on the ranges at the Marine Corps Air Ground Combat Center (MCAGCC) in Twentynine Palms, CA. The 15th Marine Expeditionary Unit (MEU) is working up in preparation for their deployment this summer to the Pacific. The 15th MEU will deploy on the U.S.S. America (LHA-6) Amphibious Ready Group (ARG) which includes the U.S.S. San Diego (LSD-25) and U.S.S. Pearl Harbor (LSD-52). The MEU is the smallest Marine Air Ground Task Force (MAGTF) numbering about 2,200 Marines. MEUs are broadly capable, forward deployed forces prepared to quickly respond to a global crisis of a humanitarian or military nature. For observers gathered on the live range at the Marine Corps Air and Ground Combat Center (MCAGCC) the first indication the exercise had started was the sound of the unseen jet aircraft at altitude sweeping the valley. Within minutes the “whump, whump” of artillery fired from miles away was heard, followed by artillery impact in the valley. VMM-161s (MCAS Miramar) UH-1Y Venom and AH-1Z Viper rolled into the valley and cycled the area, periodically making rocket runs and raining lead. MV-22B Ospreys fully loaded with Marines from the Battalion Landing Team (BLT) came into the valley flying under active artillery fire (pounding simulated targets on the outskirts of the village). MV-22 Osprey from the VMM-161 Greyhawks on landing approach with Marines from the 15th Marine Expeditionary Unit (MEU). During Realistic Urban Training (RUT), live fire training as part of workups to deployment. MCAGCC, Twentynine Palms, CA. MV-22 Osprey from VMM-161 the Greyhawks of MCAS Miramar, CA full of Marines circle prior to landing – with artillery pounding positions in the distance. At the MCAGCC Twentynine Palms, CA during the 15th MEUs Realistic Urban Training (RUT) March 10, 2017. MV-22 Osprey from VMM-161 the Greyhawks of MCAS Miramar, CA disembarks Marines during the 15th MEU Realistic Urban Training (RUT). March 10, 2017. The MV-22Bs landed and disappeared into clouds of dust, effectively obscuring the Marines as they disembarked. CH-53E Super Stallions appeared firing flares, and dropped into their landing zone. The conditions demonstrated the reality of what both man and machine must contend with in their design environment. This was no airshow. High temps, full loads, and “brown out” conditions when landing in the field. This is the norm; in the heat, the dirt, fully loaded, and in other circumstances landing on ships, night flying with NVGs, high altitudes, full loads, all with the very real potential of taking live fire. The aircraft crews of VMM-161 made it look second nature. This is their office. CH-53E Super Stallion from VMM-161 the Greyhawks of MCAS Miramar, CA climbing out of the landing zone with Marines – headed home after a long day. Marines from the 15th MEU during Realistic Urban Training (RUT). MCAGCC Twentynine Palms, CA March 10, 2017. CH-53E from the VMM-161 Greyhawks of MCAS Miramar drops onto range with Marines from the 15th Marine Expeditionary Unit (MEU) The 15th MEUS live fire, Realistic Urban Training (RUT) is underway at MCAGCC Twentynine Palms, CA. CH-53Es of the VMM-161 Greyhawks (MCAS Miramar) moving up and away full of Marines from the 15th Marine Expeditionary Unit (MEU). Realistic Urban Training (RUT), MCAGCC Twentynine Palms, CA. MV-22 of the VMM-161 Greyhawks (MCAS Miramar) breaks free it’s “dust screen” and accelerates up and away with a hold full of Marines from the 15th Marine Expeditionary Unit. Realistic Urban Training (RUT), MCAGCC Twentynine Palms, CA. Once the Marine BLT off loaded, they found gravity in their own element. Fire teams quickly located and engaged simulated adversaries with suppressing fire. Mortar teams were established and drew the attack perimeter closer to the urban area. A fire team used anti-tank missiles to take out simulated armor, and on command BLT 5/1 unleashed a wave of steel rain on the urban environment. Marine squads and fire teams moved forward under cover to begin the meticulous effort to clear the urban area of threats. Breach charges obliterated doors, flashbangs stunned potential adversaries and heavy fire resonated as every interior corner was cleared. Throughout the assault the Marines navigated improvised explosive devices (IEDs) and a variety of booby traps. Marines from the 15th Marine Expeditionary Unit (MEU) BLT 1/5 make their way from one complex to another during live fire exercise, Realistic Urban Training (RUT). RUT is one of the 13 missions the 15th MEU must master prior to deployment. MCAGCC at Twentynine Palms, CA March 10, 2017. Marine from the 15th Marine Expeditionary Unit (MEU) BLT 1/5 makes his way through the smoke towards a complex doorway during live fire exercise, Realistic Urban Training (RUT). 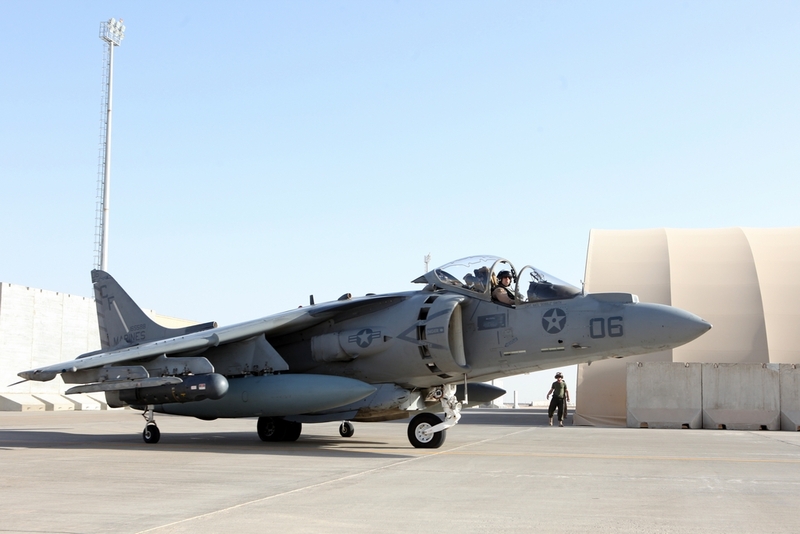 RUT is one of the 13 missions the 15th MEU must master prior to deployment. MCAGCC at Twentynine Palms, CA March 10, 2017. Marines from the 15th Marine Expeditionary Unit (MEU) BLT 1/5 provide suppressing fire on Urban environment during live fire exercise, Realistic Urban Training (RUT). RUT is one of the 13 missions the 15th MEU must master prior to deployment. MCAGCC at Twentynine Palms, CA March 10, 2017. This is just one day in the aggressive six months of “crawl-walk-run” work-ups towards deployment of the 15th MEU. LCE, Combat Logistics Battalion (CLB) 15. Realistic Urban Training (RUT) provided an insight into the depth and complementary nature of resources utilized by the MEU – and demonstrated the Marine philosophy that “no force fights alone.” A variety of combat capabilities ensures MEUs have everything necessary to penetrate contested space, complete objectives and exfiltrate – or secure and hold ground. The Marines of the 15th MEU (and the other 6 MEUs) represent the United States of America as the providers of sustenance after humanitarian disaster, as law and order on the high seas, or as the last act of diplomacy – military force. America has entrusted them with the Nation’s weightiest responsibilities and they do America proud. The Aviationist expresses gratitude to; 1st Lt Francheska Soto, Outreach Officer & Sgt Paris Capers, Mass Communication Specialist, I Marine Expeditionary Force (1st MEF); 1st Lt. Maida Zheng, Public Affairs Officer, 15th Marine Expeditionary Unit; the entire 15th MEU; and the trainers and support team at the MCAGCC.